This patent pill formula is sold in two sizes—choose from—one bottle of 200 pills (that’s a 8-day supply) for $10.99, and we discount on a 60-day supply (8-bottles) for $84.99 ($10.99 + $74.00). Please use the above “description” button to make your choice. Liu Wei Di Huang a famous prescription used for strengthening the body's resistance, restoring the normal functions of the body, and nourishing and invigorating the kidney yin and it is used to prevent and treat diabetes. Liu Wei Di Huang Wan has helped many people successfully treat "yin deficiency." The Chinese have relied on Liu Wei Di Huang Wan for centuries to tonify and restore yin. It combines blood enriching herbs: rehmannia glutinosa, dioscorea opposita, cornus officinalis, paeonia suffruticosa, poria cocos, and alisma plantago aquatica. This formula comes either in the raw form (meaning you’ll need to prepare a tea and drink 4 ounces 3 x daily) or in easy-to-use pill form (dose would be 8 pills 3 x day). Remind me, what is the treatment plan for diabetes? 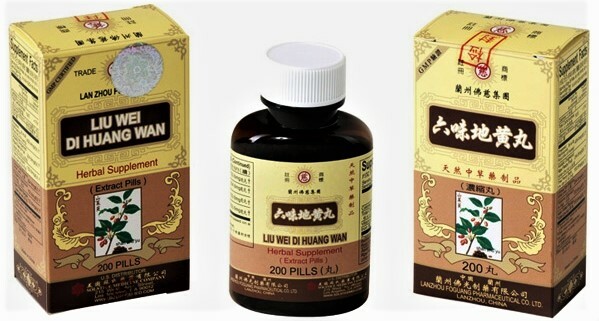 Traditional Chinese medicine’s approach to treatment uses a combination of herbal formulas; we use a powerful blood enriching tonic formula Jade Spring Pills, to bring blood-sugar levels to normal levels – plus – to improve the health and strength of the blood vessels and Liu Wei Di Huang to strengthen the Kidneys. This powerful combination will bring the disease under control and provide the user a great deal of relief. When can you realistically expect relief? Ideally speaking, within a few days of beginning treatment we expect the combined use of the three formulas to address diabetes symptoms, enough so that you can begin switching over from Western medications to using just these 3 herbal products. Within three-four weeks of use, we anticipate you will be able to depend solely on these herbal products and will have noticed a major change in your symptoms. 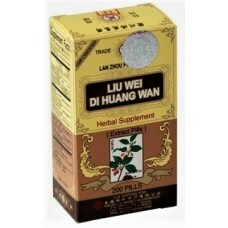 Although, the health benefits of using this treatment approach are well known among Chinese herbalists and doctors of traditional Chinese medicine, their fame arises out of their ability to invigorate the pancreas, strengthen the functioning of the kidneys, increase vital energy, and enable the user to live a longer healthier life. Perhaps, you owe it to yourself to try this treatment plan? If you’d like to know more about diabetes formulas please give us a call or send an email, we look forward to hearing from you. This prescription can be used in the raw form to make a decoction or medicinal wine, or it may be powdered and used to make pills/capsules or simply added to a smoothie or juice. Available in patent pills or raw form! If you wish us to powder this formula for you, please check the appropriate box at check-out and there will be a $10.00 powdering fee applied. We will provide complete step-by-step processing and daily dosage instructions when your order is fulfilled.